New York Times best-selling author and primatologist Frans de Waal explores the fascinating world of animal and human emotions. His new book, Mama’s Last Hug, opens with the dramatic farewell between Mama, a dying fifty-nine-year-old chimpanzee matriarch, and biologist Jan van Hooff. This heartfelt final meeting of two longtime friends, widely shared as a video, offers a window into how deep and instantly recognizable these bonds can be. 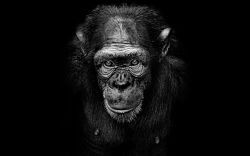 So begins Frans de Waal’s whirlwind tour of new ideas and findings about animal emotions, based on his renowned studies of the social and emotional lives of chimpanzees, bonobos and other primates.